Celebrating the beauty of imperfection. In a consumerist world where the value of an object decreases with its availability and its appeal wanes with each new version that effectively makes the previous item obsolete, few things can stand the test of time. Or the test of upcoming trends. Launched at Maison et Objet, Seletti Kintsugi collection aims to highlight the exact opposite by looking back in time. The brainchild of Marcantonio Raimondi Malerba, the pottery series features the designer’s signature artistic creativity as well as the Italian brand’s penchant for (r)evolutionary designs. Taking inspiration from the ancient art of Japanese broken pottery, the collection embraces the charm of imperfection and the history of the object. Great news for those looking for Kintsugi pottery for sale AND for those who love Selleti products. Kintsugi translates roughly to ‘golden joinery’ and it refers to the traditional technique of joining broken pieces of pottery by using a mixture of lacquer and gold powder. That way, the artisan celebrates the beauty of each flaw and opens a new chapter in the object’s history. One that always reminds the user of the item’s past. The talented Marcantonio pays homage to this technique but also takes the concept to another level. In his collection, the pottery features gleaming lines of 24-carat gold which bring together different pieces of fine porcelain. Contrasting styles combine to create a distinctive pottery collection that looks more like a work of art than tableware. In true Seletti fashion, the captivating designs are veritable conversation starters. They display the power of creativity in a sea of mass-produced products. At the same time, they also bring the traditional technique of Japanese broken pottery back to life. 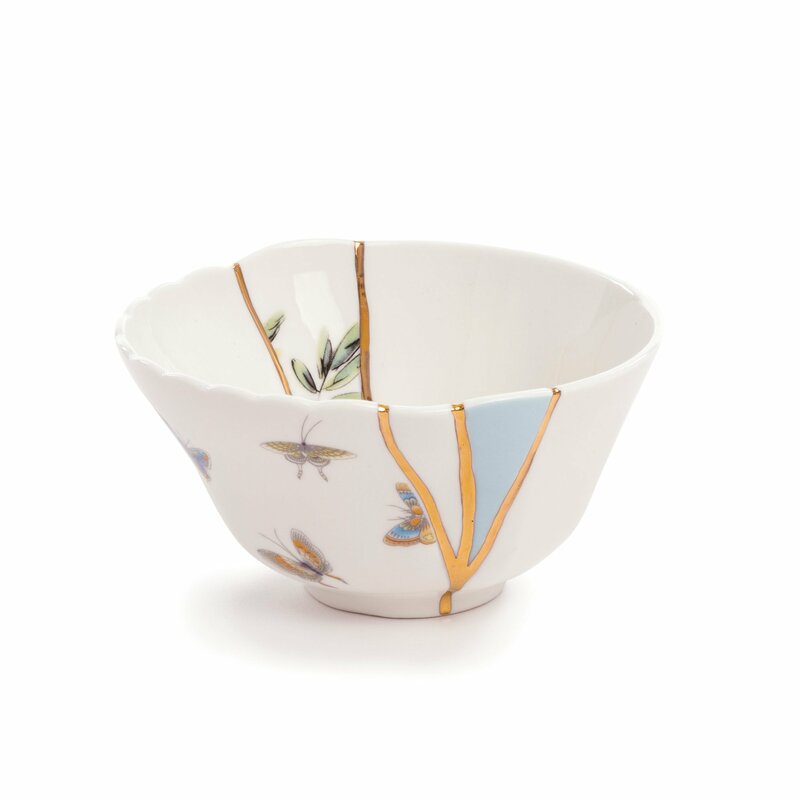 Design lovers will soon be able to find Seletti’s Kintsugi pottery for sale in the Gessato shop.